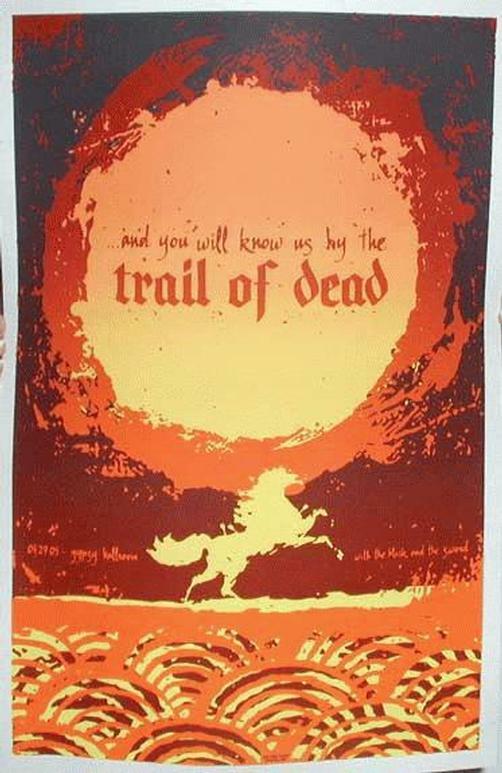 Original Silkscreen Concert poster for Trail Of Dead at the Gypsy Ballroom in Dallas, TX. Art by Todd Slater. 21x31 inches. Limited edition of only 150. Signed & numbered by the artist.